City officials laid to rest Wednesday some, but not all, of the supertall rumors swirling around Chicago since July. 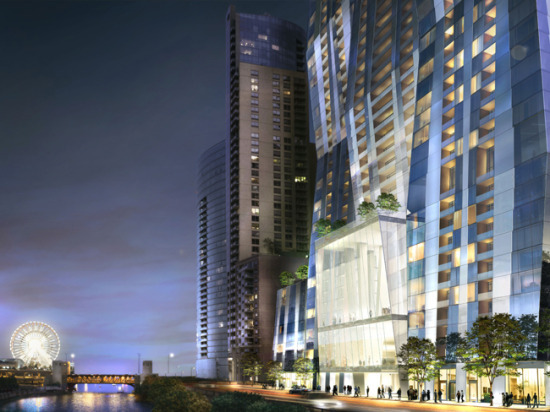 Beijing-based real estate giant Wanda Commercial Properties is indeed planning what would be the city’s third tallest building for 375 East Wacker Drive in the Lakeshore East neighborhood. 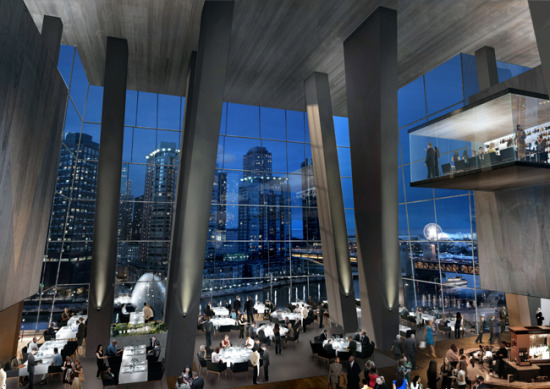 Since news of the ambitious project first broke this summer, the design has visibly shifted. The project, dubbed Wanda Vista, is now 88 stories instead of 89. Its facade has traded sky blues for shiny silver. The highest of its three volumes is now the westernmost, stepping down towards Lake Michigan instead of up, as originally rendered. The form is still a cluster of three high-rises, made of stacked frustums—cut-off pyramid shapes—that interlock and terminate in green roofs. The middle tower would still straddle North Field Boulevard. Any real detail, however, remains obscured, as the projects’ designers, Studio Gang Architects and bKL Architecture, are staying mum. Though the project awaits approval from 42nd Ward Alderman Brendan Reilly and City Council, its developers hope to break ground in 2016. 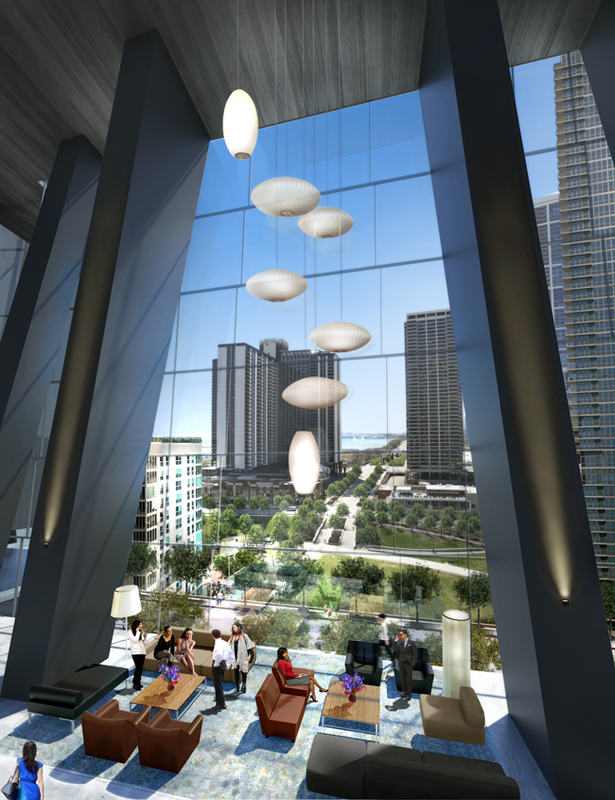 Plans for the mixed-use building include a five-star hotel, apartments, and retail, potentially to open by 2018. The 88-story project is estimated to cost $900 million, a sum not unreasonable for Wang Jianlin, Wanda’s chief executive and the richest man in mainland China. Chicago-based Magellan Development, which has worked with bKL and Gang to develop the Lakeshore East neighborhood, owns a 10 percent stake in the project.